Aren't these ornaments gorgeous?! 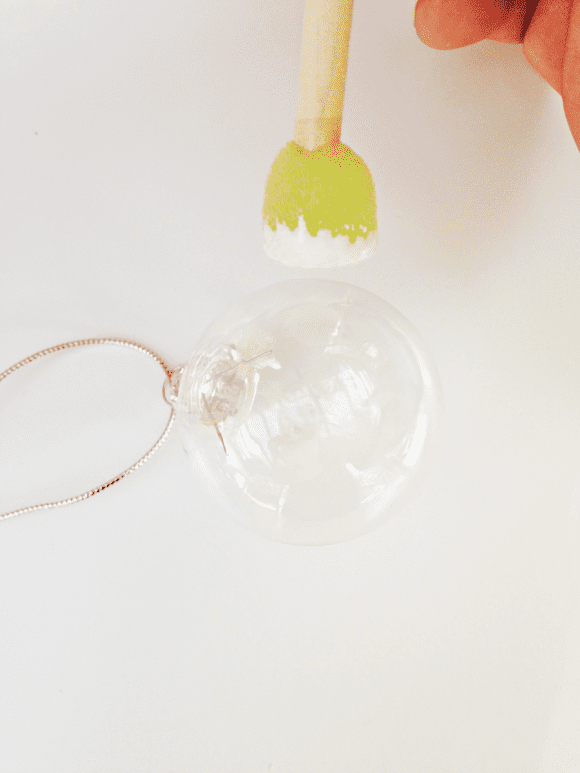 Shauna from Ella and Annie Magazine is here with her polka dot glittered ornament DIY so you can easily add a little sparkle to your tree! These glittered polka dot ornaments are not only pretty for your Christmas tree, but can be perfect for dressing up those gifts! Attach to ribbon and hang on gift bags and wrapped presents, too. Add a little sparkle to your baked goods or even attach them to a garland you can hang on your mantel. Quick, easy and budget friendly, these polka dot ornaments are a favorite! 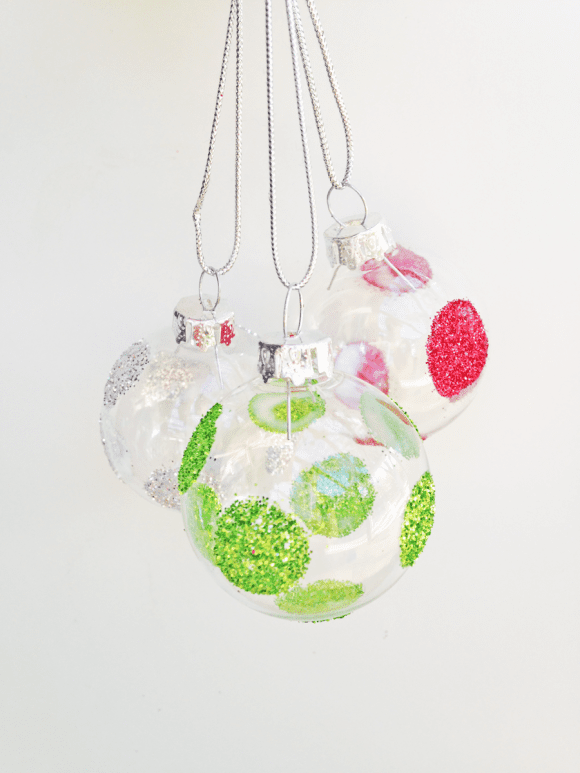 Note: These are glass ornaments and are easily breakable. We encourage an adult to be present when handling glass ornaments. And feel free to substitute in plastic ornaments. 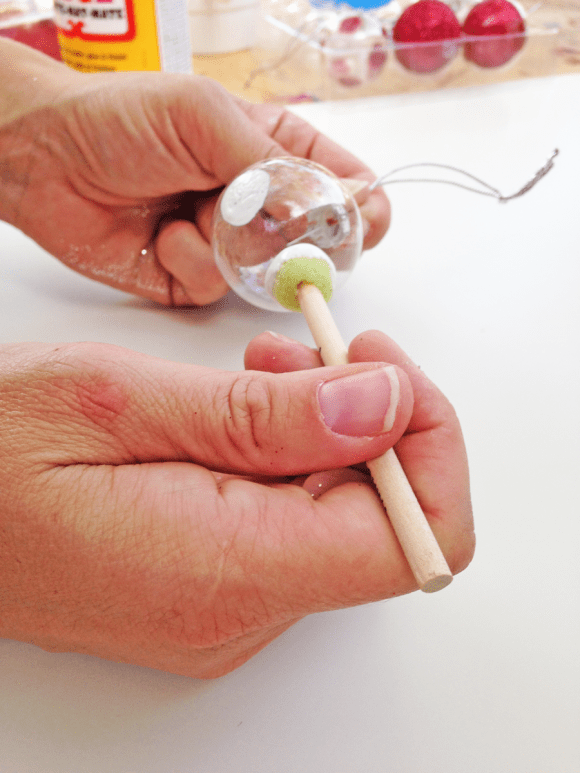 Start by dipping sponge in in Mod Podge and pressing onto ornament. Do a few dots at a time. 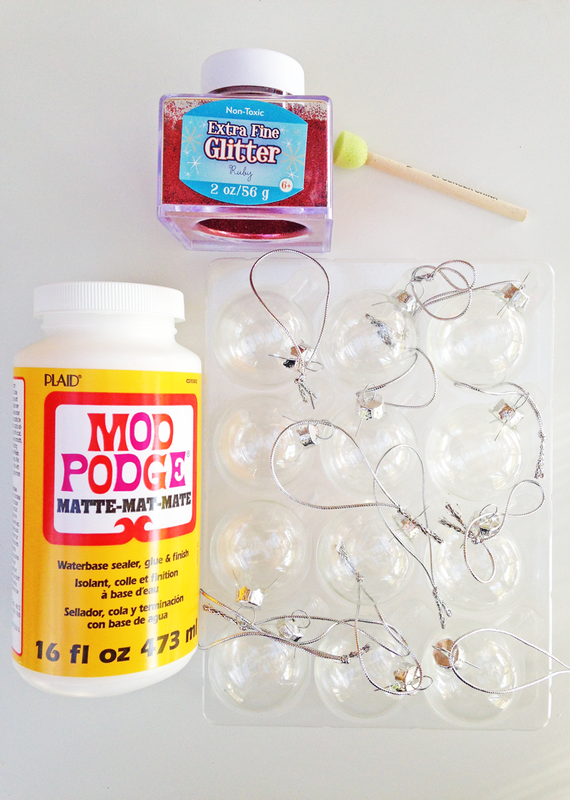 Sprinkle a generous layer of glitter over glue dots. Wait a minute or so and blow extra glitter off. 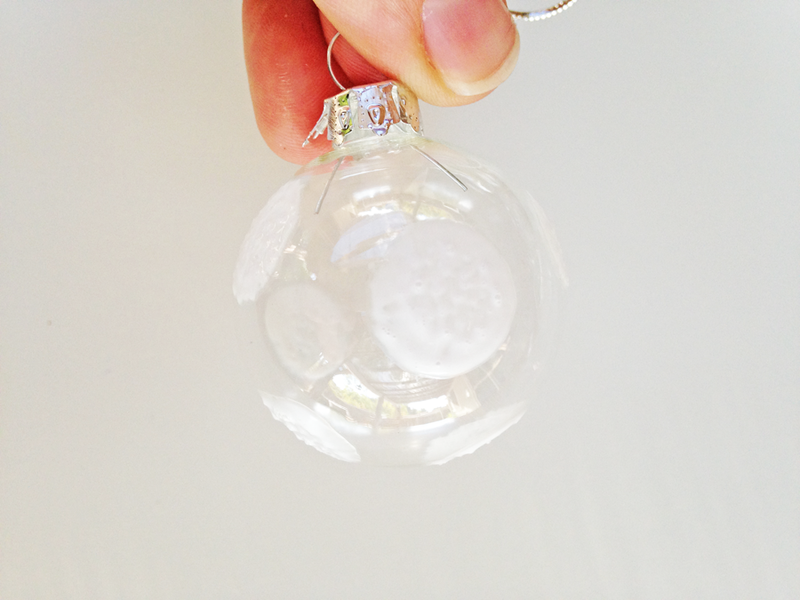 Repeat until you place desired number of dots on your ornament. There you have it! 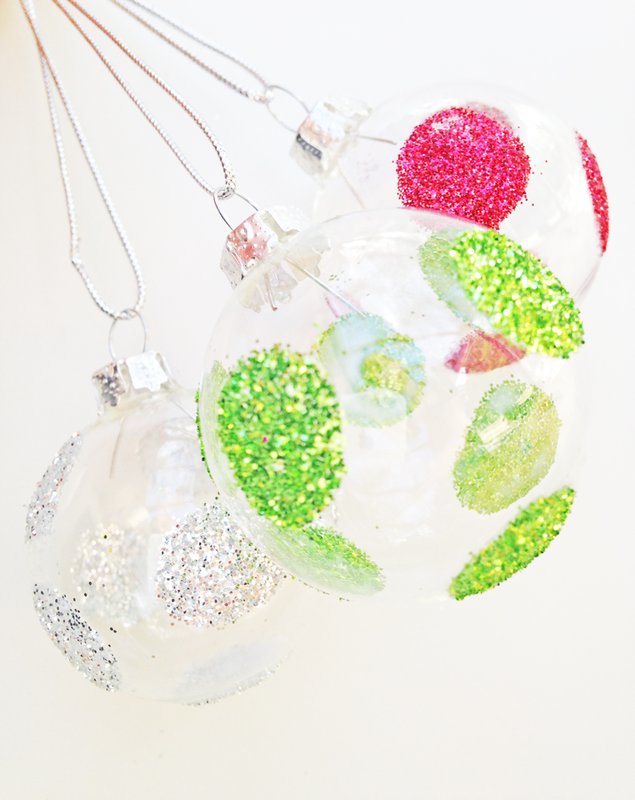 Fun, sparkling glittered ornaments! Thanks, Shauna, I love the ways these look, I want to add some to my tree this year! To see more of Shauna's work, check out Ella and Annie Magazine and visit them on Facebook, Twitter, Instagram, and Pinterest.